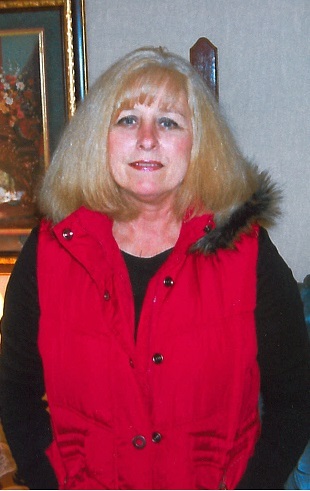 Sheila Lynn Ashley, 59 of Morgantown, Kentucky passed away Tuesday August 28, 2018 at the Hospice of Southern Kentucky in Bowling Green, Kentucky. Sheila was born August 2, 1959 in Butler County Kentucky to the late John E. and Audra White McKinney. She was a member of New Liberty Missionary Baptist Church and a caregiver. Other than her parents she is preceded in death by one son Joshua Wayne McKinney. Sheila Lynn Ashley is survived by her husband Garry Ashley of Morgantown, KY; one son Matt Ashley and wife Mallory of Morgantown, KY; one step daughter Stacia Staples and husband James of Bowling Green, KY; two granddaughters Natalie McKinney of Morgantown, KY and Shelby Lynn Ashley of Leitchfield, KY; three grandsons Jackson and Sawyer Washer and William Staples all of Bowling Green, KY; two great grandchildren Asher and Camila ; one sister Patricia McKinney of Morgantown, KY; one special niece Amy Flener and husband Arlen of Morgantown, KY and several nieces and nephews.